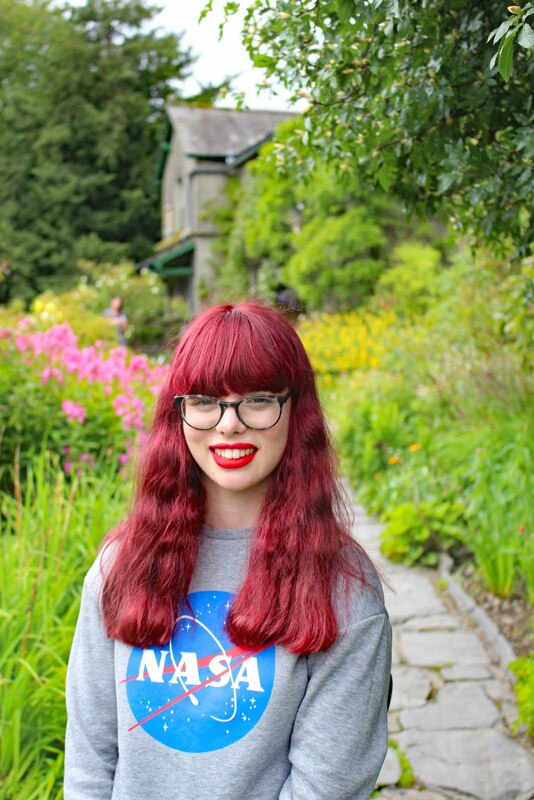 When I first started blogging (Over two years ago now, I know time flies) I didn't really have a clue what I was doing! I wasn't aware of the amazing blogging community and I definitely didn't have a clue about all the websites and tools out there, that make the whole blogging process so much easier. 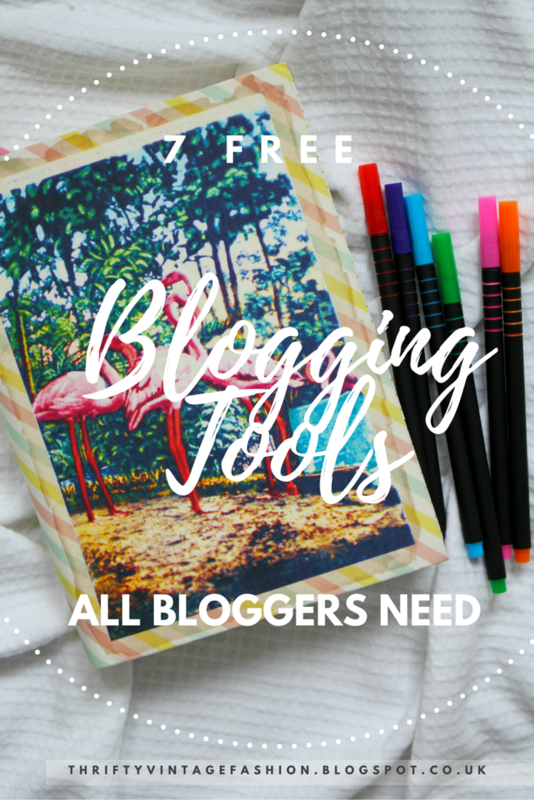 This isn't to say that blogging still isn't hard, but I find life is a lot simpler and less stressful now I am using these seven tools, as part of my blog. So if you are a newbie blogger or have been blogging for a while and just looking for some new resources to make the blogging process easier, you are in the right place! From editing to organisation and scheduling to spell checking, I have it sorted! 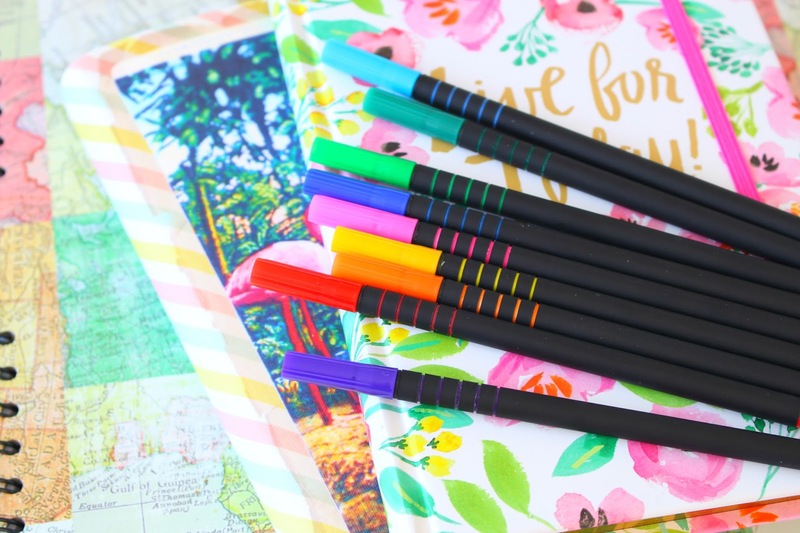 These, of course, aren't the only tools out there for bloggers! Oh no! There are hundreds, thousands even! 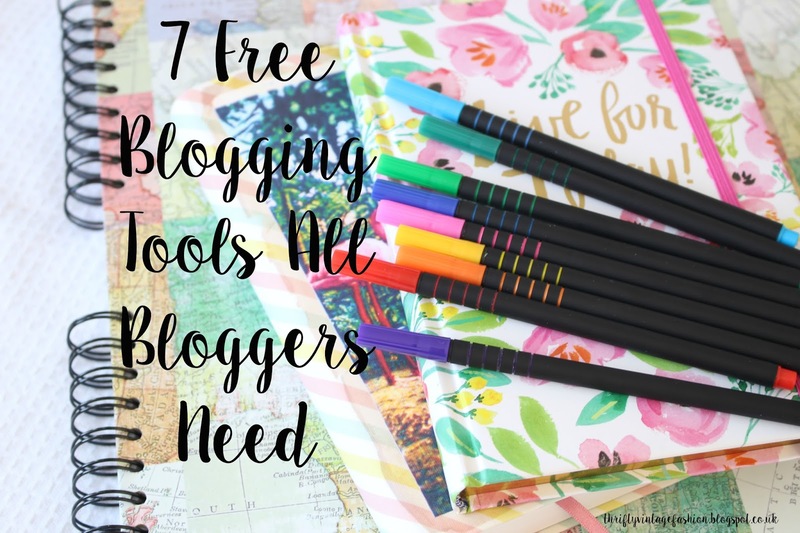 But here are my seven personal favourites that I think all bloggers need for improved, more professional blogs! Enjoy! Now if you are like me, when you write a blog post you feel like you have so much to say you just don't know how to form that into coherent sentences that are spelt correctly as well as being grammatically correct. I make lots of mistakes in my blog posts, I know I know that's bad! Slaps wrist! Seriously though I do double check it I just find it really hard to spot my own errors plus the whole process is kind of boring and I would much rather be working on something else. However, I understand the importance of good grammar and spelling (I mean who wouldn't if you actually want your blog to get noticed) This is where my secret weapon comes into play- Grammarly! Grammarly is a free website which you can sign up to which checks your work for spelling and grammar errors. Not only do I use this tool for blogging I also use it for college and assignments. You can copy your writing across or you can add it in as a plugin to Google so it checks for errors, as you write the post on blogger! Pretty handy if you ask me! This site picks up so many more errors than Word would ever do! Definitely, give it a go to help your blog ooze professionalism! You can check out Grammarly HERE. Now I wish I could sit here and be all fancy- saying that I use Photoshop to edit my photos. Unfortunately, I don't. However no need to worry my friends, Picmonkey is a cheap, poor student, friendly alternative to Photoshop. Okay yes, there is paid options but for the most part, you can get by with just the free stuff. I was thinking about doing a whole blog post about how I edit my photos for my blog, let me know if that is something you would like to see. Basically, Picmonkey provides you with a fantastic range of free tools you can use to edit your photos. I use crop, brightness, contrast, saturation, clarity and sometimes straighten when I had a drunk five minutes and took the photo on a wonk (who am I kidding, I don't drink?). They also have filters and clip arts you can add in if that takes your fancy. I also add text to my photos as well! If you would like another tutorial about how to add in your own fonts to Picmonkey from Dafont, I can do that for you. As the font, I use you can't actually find on Picmonkey you have to import it in yourself. It's super easy, don't worry! I mean if I can do it, I am sure you can do it too. If you are a blogger and want to boost your traffic to your site, I strongly recommend you using one of these sites to schedule your tweets. No one can sit on Twitter all day, scrolling through and tweeting links to their recent blog posts! We are all busy bloggers and don't have time to remember to share links to our latest posts 10 times a day. To resolve this issue, what you need to do is download one of these apps (or both, if you want to live life on the edge) Buffer works on the desktop as well! Simply sign up with your Twitter account, write some Tweets, add a link and a few pictures then schedule for later. What's great about these apps is that you set up your own schedule with pre-set times you want your tweets to go up so you don't have to set it manually each time. Buffer allows you to schedule 10 tweets at a time on the free version. As you do not want to spam your followers, this is probably fine for most of us bloggers. I use both apps, as I like to schedule tweets at night which I do on Hootsuite, as Buffer alone is not enough. So if you do find yourself desperate to schedule more tweets you can just use both. Tweetdeck is another site you can use on your desktop, but I didn't get along with it so I can't really recommend it to you guys. You know me, I like, to be honest! So now you have your tweets scheduled you can sit back, worry free and actually get on with the things you need to do, instead of worrying about sharing a link to your latest post every hour! I went into depth about how I use Google Calendar for my blog, in this post; How To Create An Editorial Calendar For Your Blog so I won't go into too much detail here but basically if you love the bullet journal system but aren't very creative and find it hard to keep up with, this app will be for you. I write down all my tasks in grey, all my college work in pink and all my blog posts are colour coded to correspond with the colours I use on my spreadsheets (Which I will get to in a moment) Once you have chosen a colour, you can choose the date, time etc. and it appears in your calendar. Once I have completed a task, I add the thumbs up emoji, if it has moved to another day you can simply go back and edit the date and it moves it for you. For blog posts, I add the camera emoji next to an event it means that I need to take photos for that post and if I add the notebook and pen emoji it means that I need to write that post. Sometimes I write posts on my phone and send them over to my laptop by email, if this is the case I add the email emoji to signify this. I have used this system for most of 2016 and I couldn't recommend it enough if you want to get your blog organised. Your app will also link to your computer if you search Google Calendar and sign in...pretty convenient eh? Although I have fallen in love with the bullet journal system- nothing will beat a good spreadsheet. I use spreadsheets to organise my blog schedule, post ideas and stats. Why I choose to monitor these things in a spreadsheet and not in a bullet Journal is because I am a bit of perfectionist and I am always changing my blog schedule. Posts are always subject to change at short notice, so the idea of crossing things out in my bullet journal, kind of makes me feel a bit uneasy. That said, there are so many other things you can track and keep a record of in a spreadsheet for your blog. If you earn money from your blog, a spreadsheet would be a great way to track your finances. One handy trick I love about spreadsheets is the fact that you don't have to write every date out when planning for the whole month. You just write the first couple and drag it down and it fills the rest in for you. Spreadsheets make blogging quicker and more efficient but definitely not as creative as bullet journals. Although maybe not for everyone, I would definitely give it a whirl if you are curious. If you would like to see a blog post about how I organise my blog using spreadsheets, I would be more than happy to do that for you! Like many other bloggers out there, I have tried my fair share of photo editing apps for Instagram, none of which have worked for me. However, don't fear VSCO Cam is here! VSCO Cam is the best editing app for sure, well the best one I have tried. Unlike the other apps I have tried I actually feel like this one makes a difference to my photos. There are some great free filters, okay not the biggest selection but enough to get by! However, the best part of this app for sure is all the options you have to edit your photos. From tints to clarity and highlights to grain, you will be hard pushed to want something that they don't have. Saying that, they could have added some border options or somewhere to add a blur to a photo, just in case you wanted to edit some personal information out of a photo. But these are only very small flaws. This app, helps you edit and create very professional photos, perfect if you want to start taking your Instagram feed more seriously. If you want really fun, exciting features, this app isn't going to provide that for you. But if you want to edit your photos in a more professional way but the thought of forking out on software or apps make your stomach churn, you should be downloading VSCO Cam right now, what you waiting for! The ultimate Godsend of all websites for anyone but especially graphic designers and bloggers. This site gives you so many options!!!! Like seriously if you are ever struggling with what sizes your blog header needs to be or your Pinterest graphics then canva is the place you need to be. Canva gives you pre-made layouts for so many things you may need. From posters to letters, Pinterest graphics to banners and headers. Canva has got it all for you! It's super easy and quick to use, all you do is sign up and start creating. You can create your own templates or use some of the pre-made ones as the foundations for your creation. I would just add you need to be careful that you check for a little button on the bottom of the template that says 'Free' if it has a dollar sign, it means you have to pay for it- which would be a bummer if you designed a really cool header for your blog but couldn't save it because you aren't prepared to pay! Asides from that there is no catches, lots of options and things you can add to make your graphics for your blog and social media professional and sophisticated! What's not to like? What tools do you use to edit your photos, organise your blog ideas and admin? Is there anything you use for your blog, that makes you life a million times easier? Please let me know in the comments below, I am always on the lookout for things to improve my blog! I'd never heard of Grammarly before, but it sounds super helpful! I recently discovered hoot suite (love it) and just about to look at grammarly it sounds great! aww, I didn't notice that! That is annoying though! haha, I always make typos too and Grammarly saves me! I love using Picmonkey when I edit my blogpictues. I love VSCO and I use it on a daily basis! Nice post! Could you do a post on how you use Spreadsheets to organise your blog? I am still really afraid of them. I have just installed grammerly and oh my! I think this is the most amazing thing and it genuenly got me really excited! Is Picmonkey an app for the phone or a website? Canva and VSCO Cam are brilliant and so so helpful! I think I'm going to have a look into Grammarly. I've heard many great reviews! I use all of these but grammarly - so I might have to give that a try! I find that organizing my blog on google calendar and spreadsheets works better for me than on paper because I change my editorial calendar all the time. Thanks for sharing what you use! I use almost everything on here, Buffer & PicMonkey are favourites of mine. Was really surprised that you didn't mention photoshop express on there, I always use it to brighten and clarify photos. Wow, absolutelly loving the post! Thank you!! Hey! Thanks for sharing this information - appreciate the effort you put in. I just wanted to run something by you; Have you heard about Rawpixel? You’ve probably seen our images all over the place. We’re the leading stock photo contributor in the world. We’ve just launched our website where we give away the best free design resources out there. We’d be stoked if you could add us to this list. Check us out onwww.rawpixel.com. Looking forward to you joining our community of creatives. Great article. Thank you for sharing your story with blogging. Thank you for sharing. I'm following your blog in the future. Hope you have a great work out.